We all know how important ambiance can be to a dining experience. A delicious meal is elevated when it’s enjoyed in a beautiful location; with inviting lighting and perhaps a pleasant view. And since the weather is generally gorgeous here on the Central Coast, many restaurants take advantage of this fact by moving the restaurant outside; creating beautiful patios for guests that contribute to an exceptional dining experience. 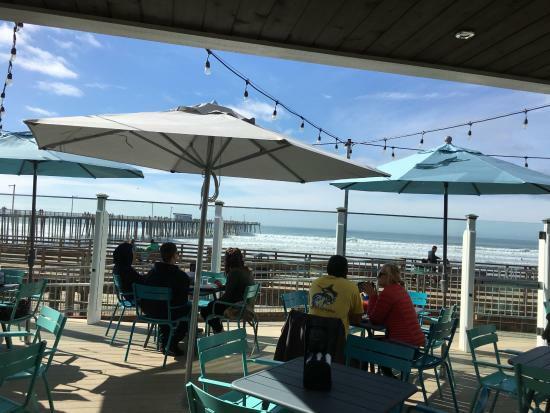 Here are the best restaurants with outdoor patios on the Central Coast. 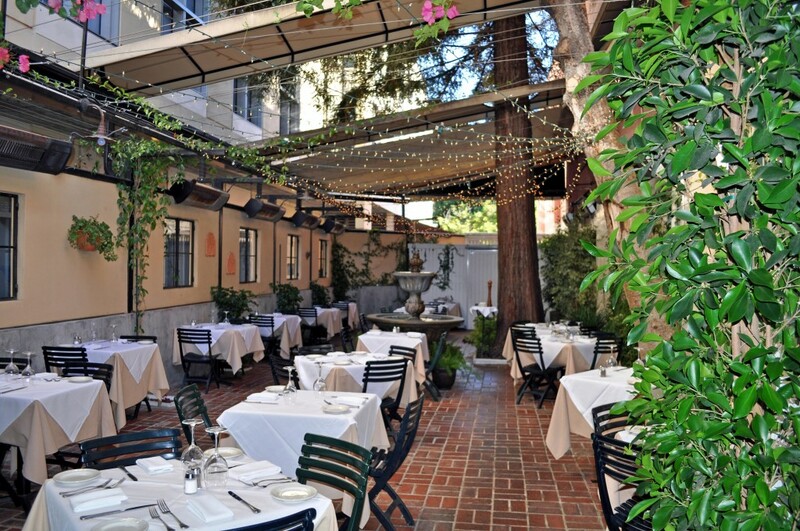 This intimate and quaint spot is a ideal for an authentic Italian meal in downtown San Luis Obispo. Their unique outdoor patio is enclosed with an open ceiling, making you feel like you are actually outside while protecting you from rain or cold weather. A large tree comes out from around the tiles, bringing a bit of the outside in. During the daytime, the bright sunshine and air makes it a perfect place to kick back during an afternoon, and the ambiance becomes more romantic and private at night. Crisp white table-clothes, red tile floor, and an enclosed patio space. Novo is a favorite in San Luis Obispo dining, and offers exceptional food in a beautiful environment. Novo’s ambiance is complete with twinkling lights, cute tables and chairs, and a view of the San Luis Obispo creek and the Mission San Luis Obispo across the way. 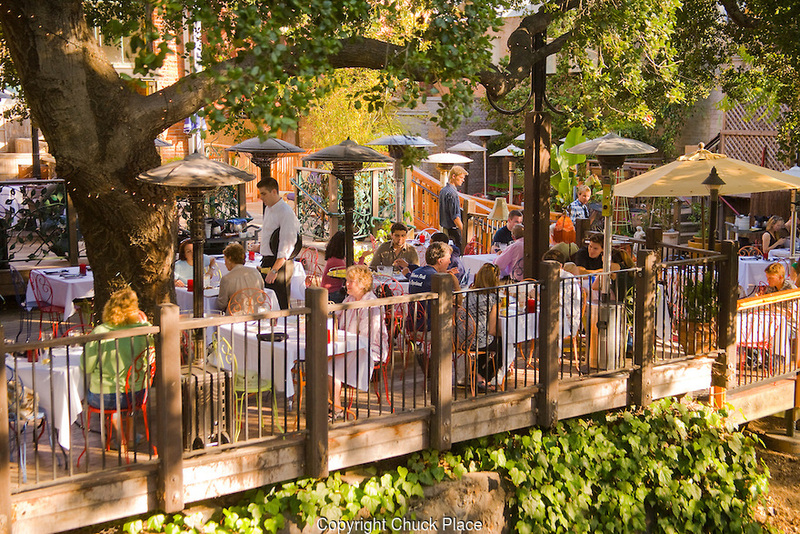 Surrounded by trees and close to the creek, Novo is a great place to enjoy the nature of San Luis Obispo while tasting some of its most global cuisine. They serve brunch, lunch, and dinner, making a perfect Novo experience accessible at any time during the day. 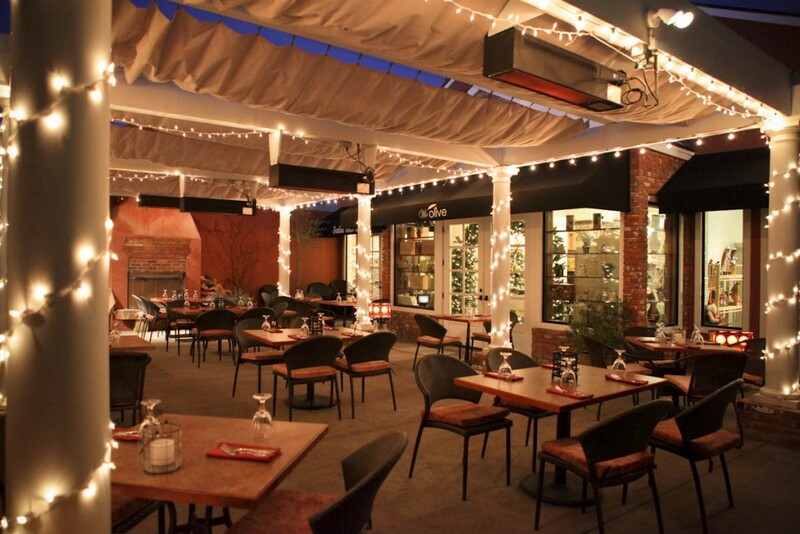 Above the San Luis Obispo Creek, Novo offers a pleasant outdoor dining experience. The Paso Robles Inn’s on-site restaurant, The Paso Robles Steakhouse, is the premier steak-house in the area, offering you favorites like top sirloin, filet mignon, and hearty sides. 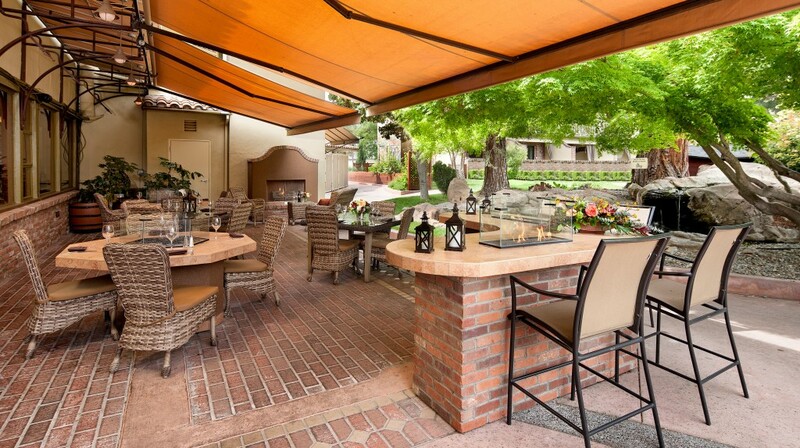 Take your pick from the rustic indoor dining room to the outdoor patio, offering a leisurely and lovely dining experience with fire pits, fireplaces, and a full bar. The restaurant is conveniently located in downtown Paso Robles. A walk across the street will find you in Downtown City Park, complete with shops, wineries, and boutiques. This stylish, ethnic restaurant with an outside bar, fire pits, and patio seating has great small plates and excellent drinks. Comfortably spend an evening with family and friends while sitting on a plush couch around one of their fire pits, and sample diverse global cuisine. 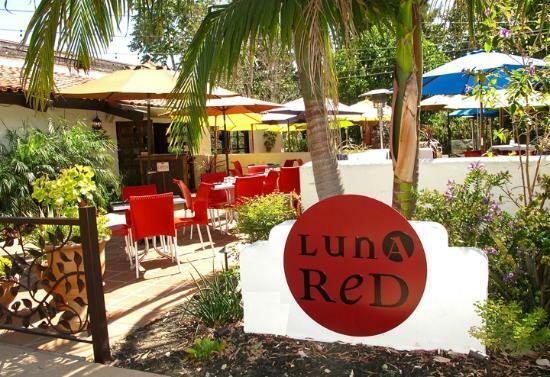 Located in downtown San Luis Obispo and overlooking Mission San Luis Obispo, Luna Red is the perfect pre-or-post downtown stop, where you can enjoy a light dinner and a drink before exploring Farmer’s Market or another downtown SLO event. For fresh-farm to table cuisine in charming Paso Robles, Thomas Hill Organics is a great option. The outdoor patio, complete with a fountain and twinkling lights, will delight you as you enjoy healthy meals like kale salad or pan seared scallops. Keep in mind, however, that the menu changes weekly and seasonally depending on the produce that is in season and available. The restaurant is also heavily influenced by wine and has a wine bar inside, offering wines from the California Central Coast. The most popular restaurant in Avila Beach, Custom House has a great selection of seafood and classic American favorites, in a premier location. The patio overlooks the Avila Beach boardwalk and beach, looking out over San Luis Bay. Both inside and outside, Custom House is a fun and convenient place to hang out, and offers a variety of seating options. 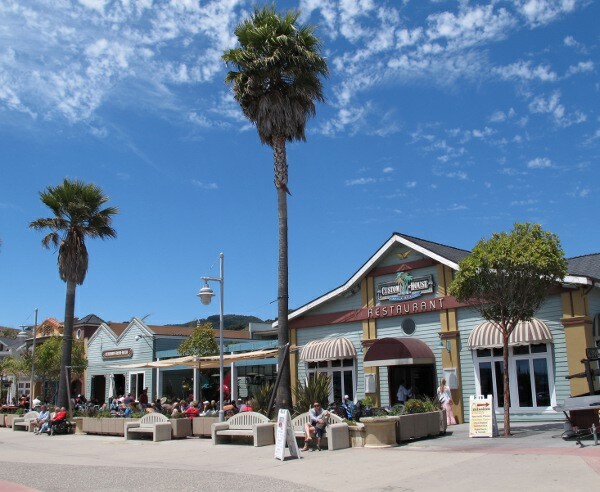 Watch the busy Avila Beach environment, with tourists and local surfers alike, while enjoying a leisurely, casual meal. Another beachfront dining spot, Wooly’s is literally located steps away from the sand. The outdoor patio has a glass screen to protect from the wind without imposing any restrictions on the beautiful view. Enjoy classic bar favorites in a casual atmosphere, all while taking in the closest ocean view you could imagine.